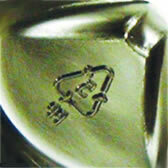 Copper electrodes, patterns for casting, brass plates and labels. 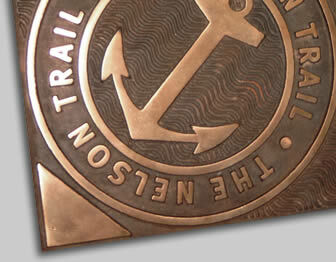 The versatility of machine engraving and the variety of materials for its application enables you to have a finished product with strength and permanence. This is particularly important in hostile environments or for the exterior use where the changing weather conditions can have an impact on many other forms of Image production. This can be achieved with no sacrifice to design. 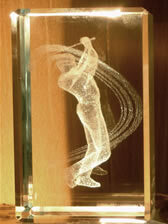 Mould Tools, Glass, Wood, Acrylic, Marble, Plastics, Traffolite, Sheet Metal and Castings. The engraving of mould tools and electrodes with anything from part numbers to branded product names form a major part of our engraving department, and is something in which we have many years experience. 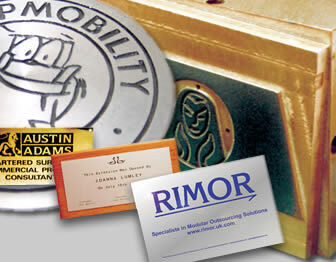 Laser engraving & cutting can be used with most materials, including glass, wood, acrylic, leather, rubber, marble, card and plastics. Computer controlled, it is ideal for one-offs – simply send us your artwork. Degrees of shading can be achieved by use of halftone, and with a maximum resolution of 1000dpi, near-photo quality etching can be achieved. Also, the laser can be used as a powerful and accurate cutting tool, which makes it an ideal process for producing items of unusual shape. Maximum size for flat work is 600mm x 400mm and 140mm diameter for rotary engraving. 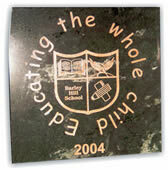 Barley Hill School Laser engraved marble plaque filled gold.